As a transplant from the northeast, I’m admittedly contributing to the immense development and change this city has undergone in recent years. That’s not to say, however, that I don’t know an authentic Austin restaurant when I see it. With this idea in mind, I make my way past the new apartment buildings, the construction zones and closed-off sidewalks of East Sixth Street. When I want the taste and feel of old Austin, I go to Tamale House East. To understand the importance of Tamale House East, you have to know the history that led to its 2012 opening. 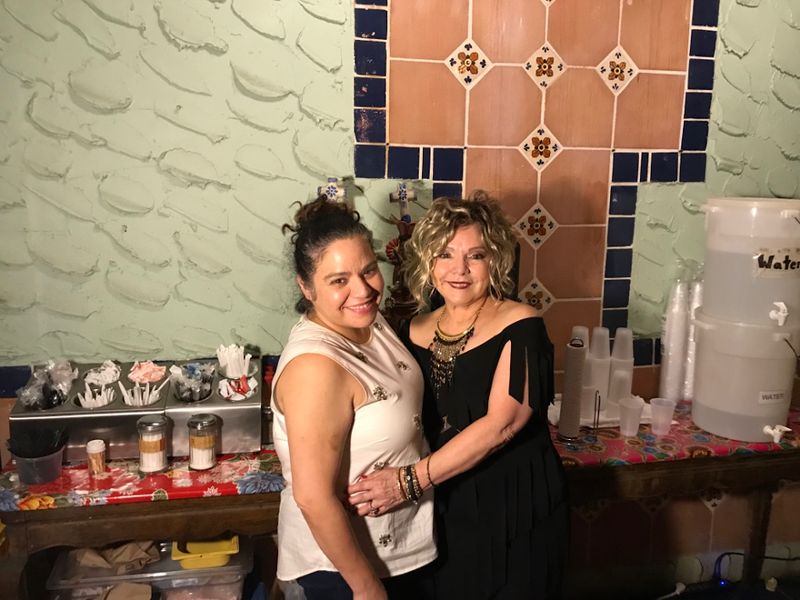 I met with co-owner Carmen Valera and her mother, Diana Vasquez Valera, to get a sense of how the restaurant came to be. In 1958, Valera’s grandparents opened the original Tamale House on First Street and Congress Avenue, and it was an institution for 30 years. Vasquez Valera started her own eatery in 1988, Mexico Tipico. For 20 years, it served delicious food from the location that now houses Tamale House East. 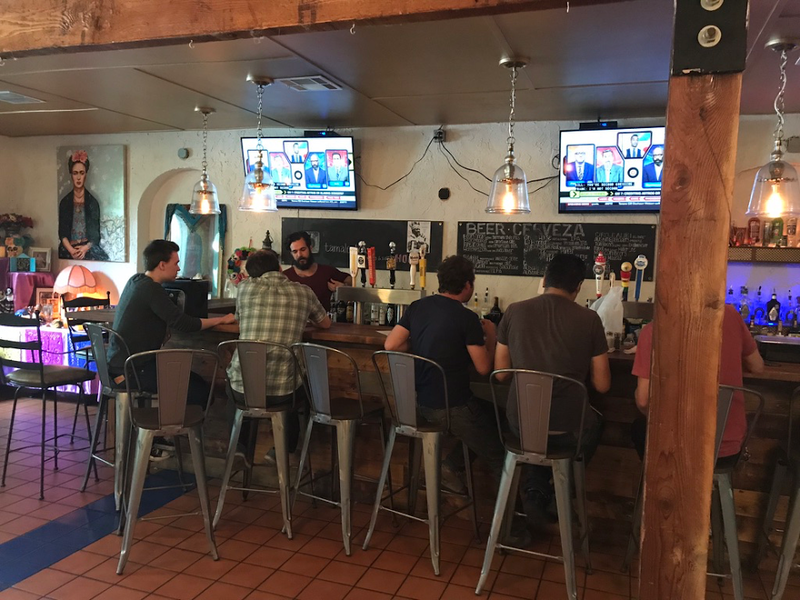 After a few years of renting out the building, the family opened Tamale House East in 2012. “We are truly native East Austinites. My mom’s family has been in east Austin for over 100 years,” Valera told me. Tamale House East is set back from the street, which allows for plenty of parking in front. 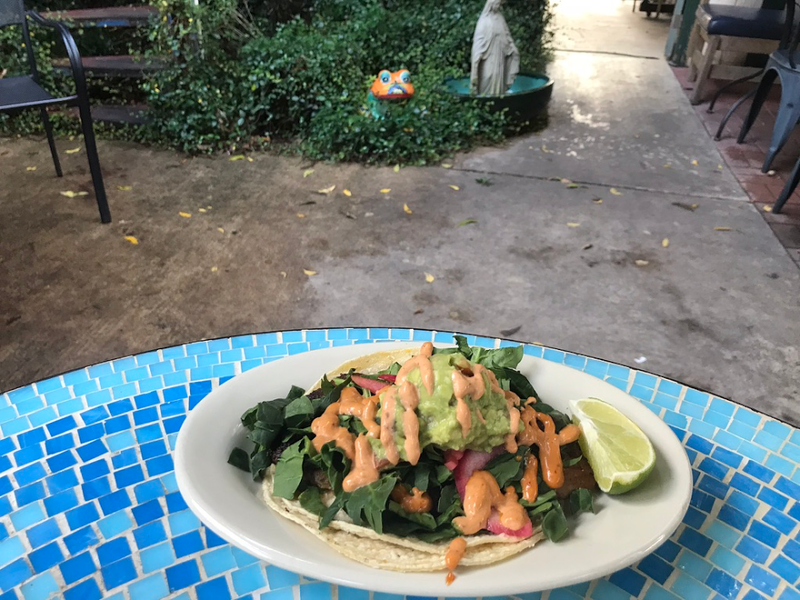 Once you order at the counter, decide whether you want to sit inside or outside, in the colorful, well-manicured courtyard. No matter where you land, ready yourself for authentic Austin deliciousness. I move on to the next course, Tamale House East’s famous migas. I’ve had migas before, but not like this. The dish is flavorful and crispy, with a kick. I think it may have ruined non-Tamale-House-East migas for me forever. That’s a compliment. 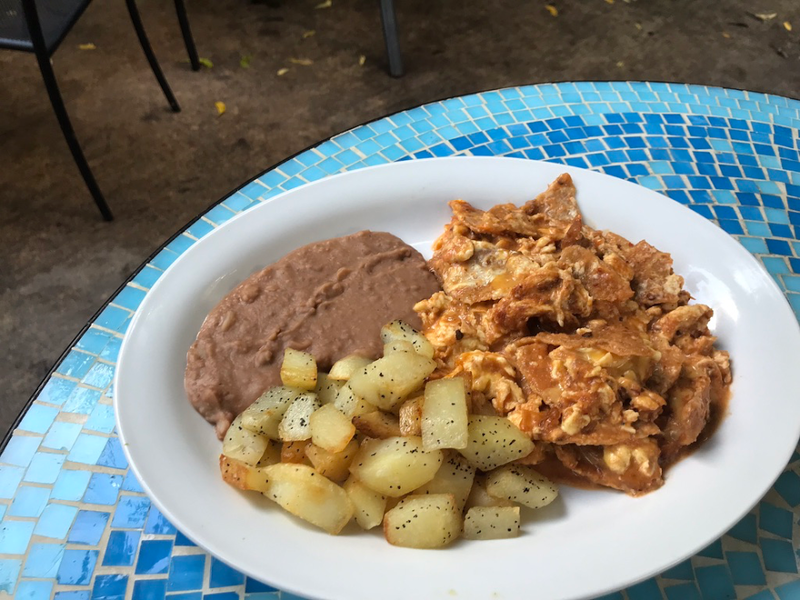 I washed the migas down with a Mexican iced coffee, which I’m told is a top seller, especially during Saturday and Sunday brunch. There isn’t any chocolate in the drink, yet the chocolate notes are undeniable. “They come out in the cold brew process,” Valera hints. 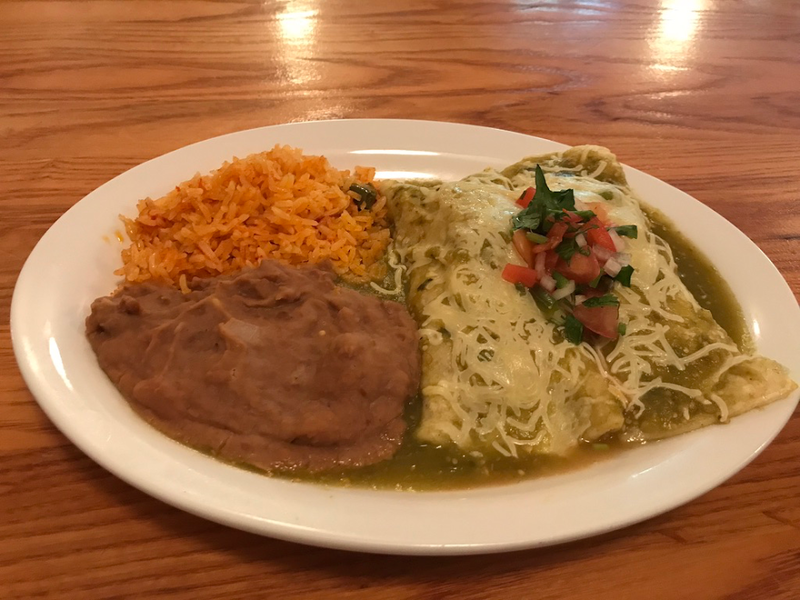 The queso and spicy jalapeno salsa are both amazing, and the enchiladas verdes with shredded chicken could be my favorite order if I didn’t love every single thing. How is it all so good? “We make everything from scratch,” Valera tells me. “It’s all done with fresh ingredients. We don’t take shortcuts.” It’s a meticulous way of cooking, refined over years. In fact, Tamale House East still serves the eight menu items from the original Tamale House of 1958. 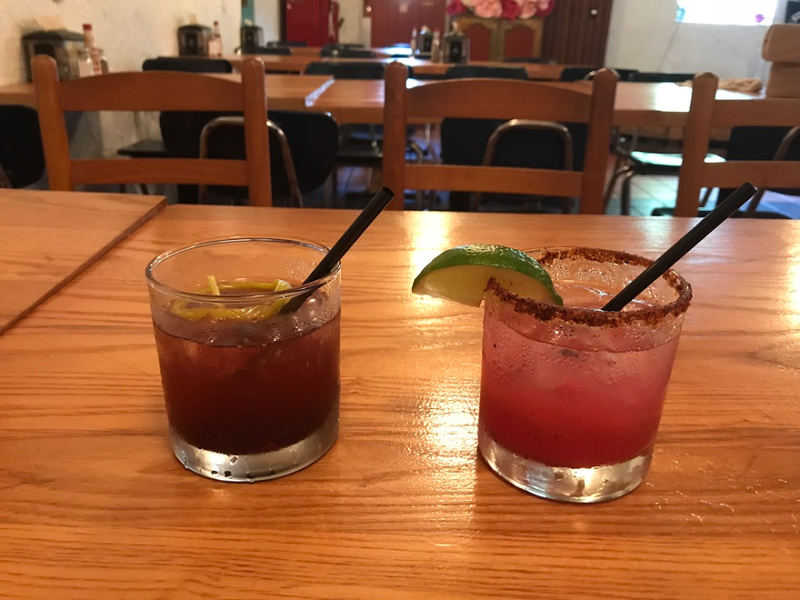 A major point of emphasis at Tamale House East is the freshly expanded cocktail menu, created by bartender Ryan Ulloa. I already knew these margaritas were the best in town–that’s why I started my birthday night here a few weeks ago. “Everything here is housemade,” Ulloa tells me. The juice is fresh and made-from-scratch mantra of the food menu carries over to the drinks. “I want all of the drinks to complement the food,” Ulloa shares. 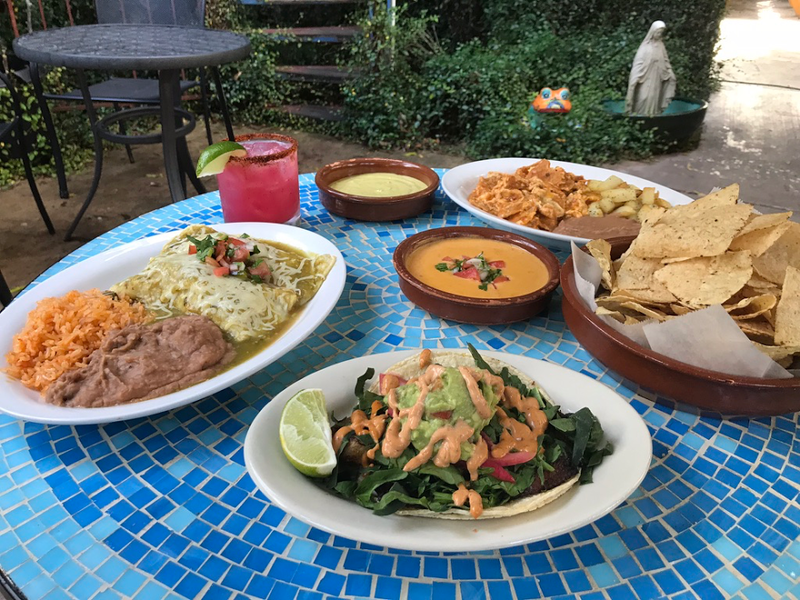 “The food is the star.” I can’t argue with that, but these drinks alone make your visit to Tamale House East worthwhile. I tried the añejo old fashioned, a classic drink, but made here with añejo tequila. Tradition with a twist. The prickly pear margarita, with chili around the rim, is both spicy and refreshing. I can see why it’s so popular. Be warned – these cocktails can definitely sneak up on you. Ask anyone who saw me on my birthday. I made sure to stop by Tamale House East on a Thursday evening to witness the fiesta that is Salsa Dancing Night. The Brew, a local salsa band, gets the party going every week from 8-11 p.m. With the tables pushed to the side, the dance floor is packed. 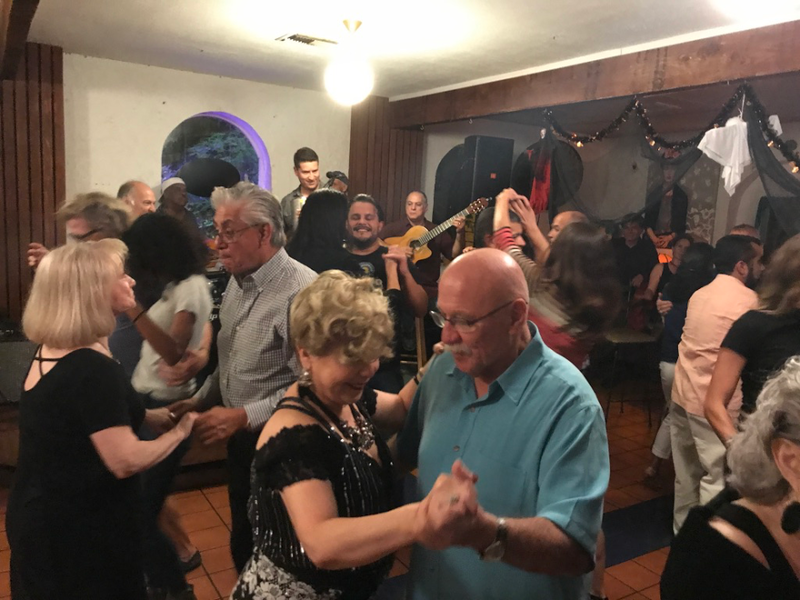 Thursday Salsa Dancing Night is just the start of what Tamale House East is doing to entertain the community. A gypsy jazz band called Scrapelli appears on Saturdays from 11:30 a.m. to 1:30 p.m., and a new Colombian-born singer named Diana Naranjo has been getting rave reviews on Saturday nights. Soon there will be live DJs on Sunday, as well. It’s clear there’s a lot happening at Tamale House East. With so much change in the neighborhood, the restaurant has shown it too is open to trying new things, while staying true to its storied history. People like me are creating a demand for all this change. But my fellow transplants and I also have the power to support the businesses that have history in Austin. “The east side used to be nothing but Mexican restaurants, and if you wanted to eat Mexican food, you came here,” Vasquez Valera told me. 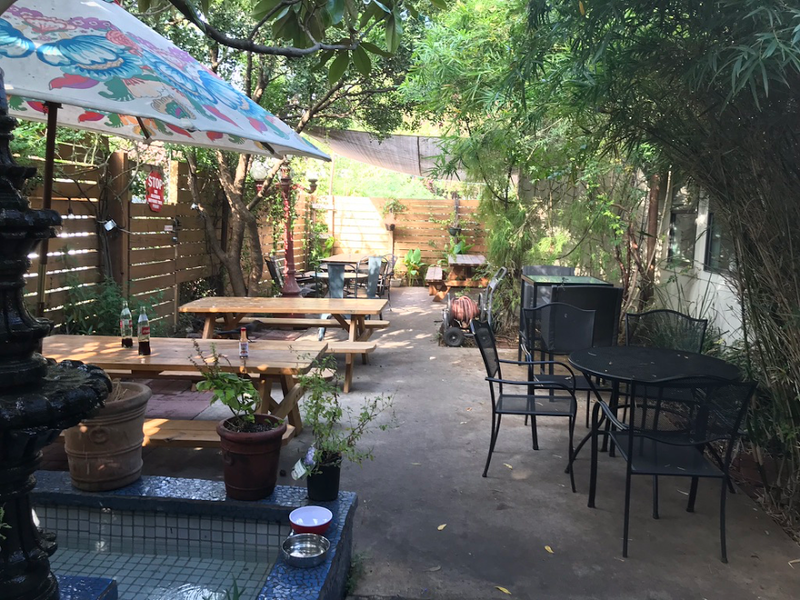 “Our restaurant is one of the few places where you get the sense of those roots.” I’ll be back soon, and often, because I think it’s important to remember “old Austin,” even if I wasn’t here for it. And let’s be honest: with food, drink, and entertainment this good, I’m no hero. When you hear the phrase “old Austin,” what do you think of? Jonas White has lived all over the country, but loves his new home city of Austin. He spends his time editing for a Danish publishing house and exploring the food scene, working his way down the list of recommendations he’s received. On weekends, Jonas can often be found showing off the city to his out-of-town friends who seem to always be visiting.